MGL is fast spreading its CGD network beyond its existing areas of operations i.e. Mumbai, Thane, Mira Bhayander and Navi Mumbai. Besides these areas, the Company is also spreading its network in its authorized areas of Kalyan, Dombivali, Ambernath, Badlapur, Ulhasnagar, Bhiwandi Panvel, Taloja and Kharghar. MGL’s current area is inhabited by almost 2 crore people and offers a natural gas potential of about 5 MMSCMD. 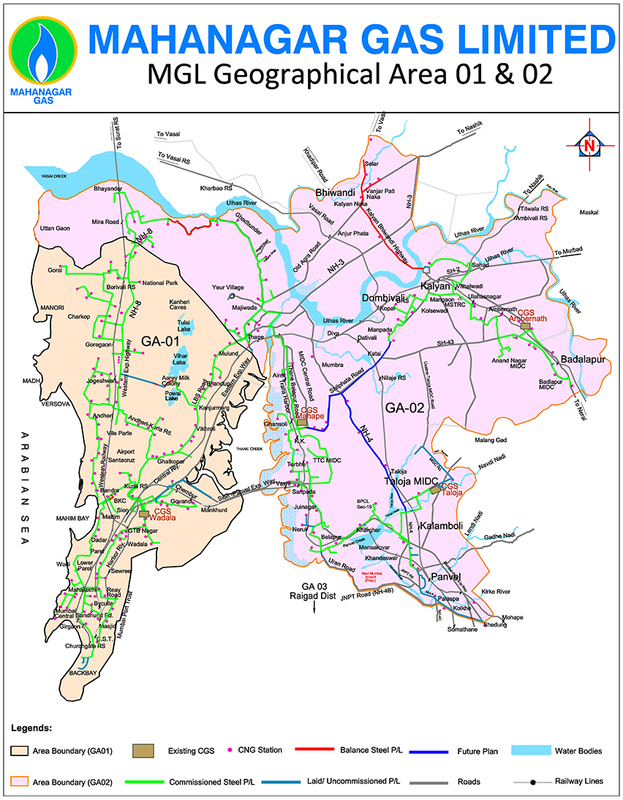 MGL also has plans to develop its CGD networks in a few more cities through the bidding route. To cater to the growing Natural Gas demand of existing and expansion areas, MGL is sourcing gas from various existing suppliers through its four City Gate Stations. In the next five years, MGL has plans to increase its customer base to about 10 lakh households, operate about 330 CNG stations, and expand the steel pipeline network to around 600 kms, and the PE pipeline network to over 5500 kms.